Brassfoot makes his DBA debut following a number of appearances at the DBA Presents parties. 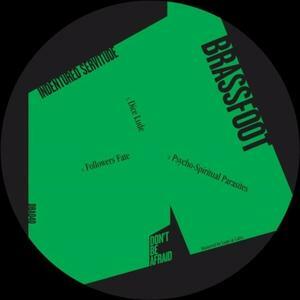 Since breaking through with his Apron EP on Funkineven’s world-leading label in 2015, Brassfoot has turned heads with releases on UTTU, Paul Du Lac’s Bio Rhythm, and his own seminal NCA Recordings. On the Indentured Servitude EP Brassfoot showcases his own unique stepping house and techno flavour across six tracks, with time to meditate and reflect between the party-starting peak timers also included.